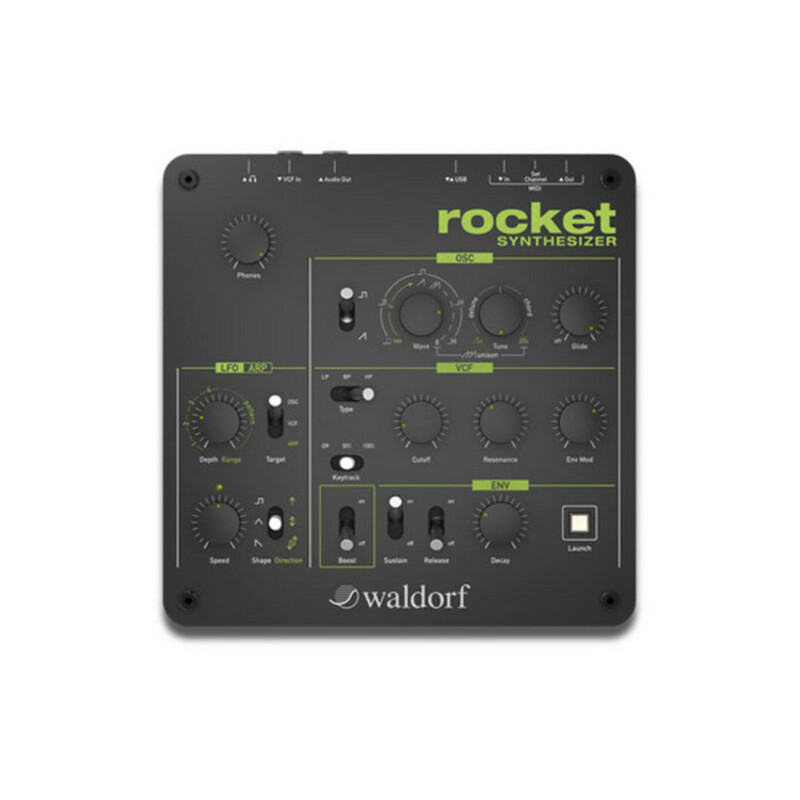 The Waldorf Rocket features an analog multimode VCF with lowpass, bandpass and highpass, resonance up to self oscillation and beyond, a powerful monophonic oscillator section with Ultra High Density Sawtooth and unison for chord play. The Waldorf Rocket Synth's incredible sound is a powerful weapon of mass destruction, and never before has this kind of power been achieved with such an enormous fun factor. 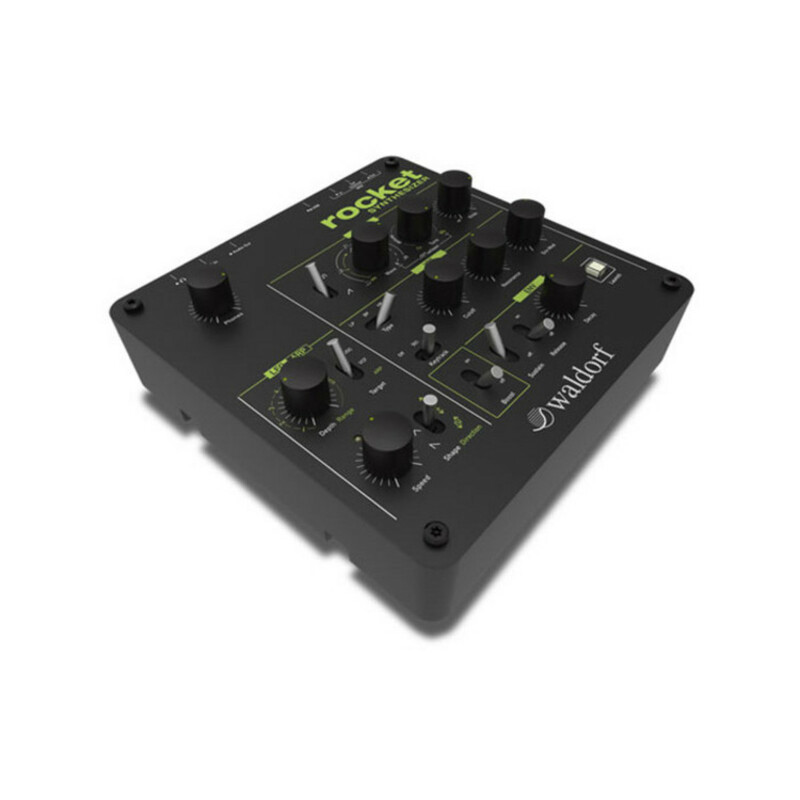 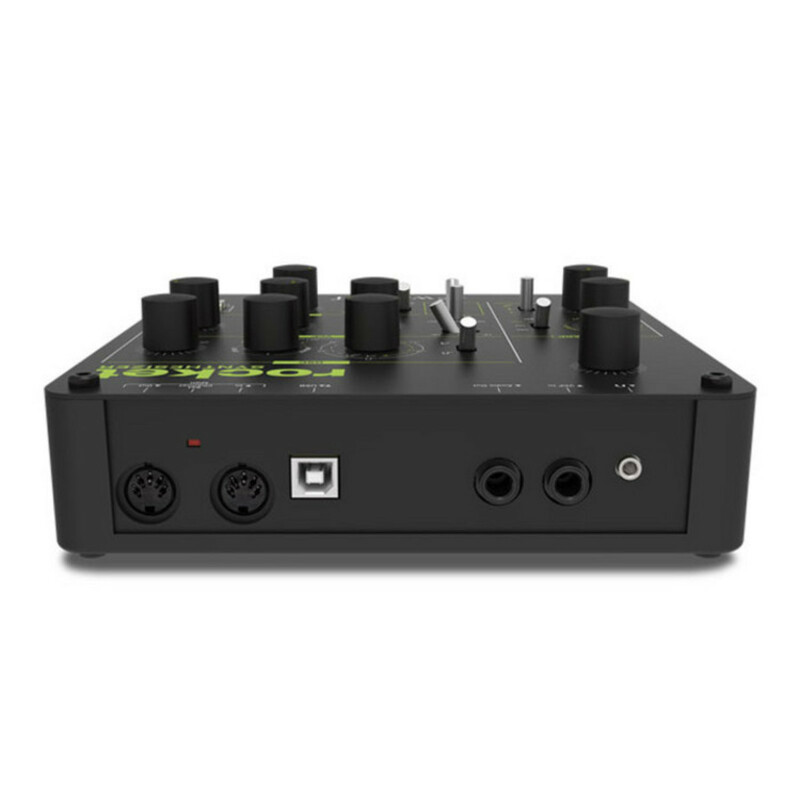 Furthermore the Rocket is equipped with a powerful Arpeggiator and a destructive Booster circuit, this Rocket is technologically way ahead of its contemporaries.